​We're always down for a juicy conspiracy theory. Don't get us wrong. And there's more than enough evidence, without digging too deep here, to believe this one. 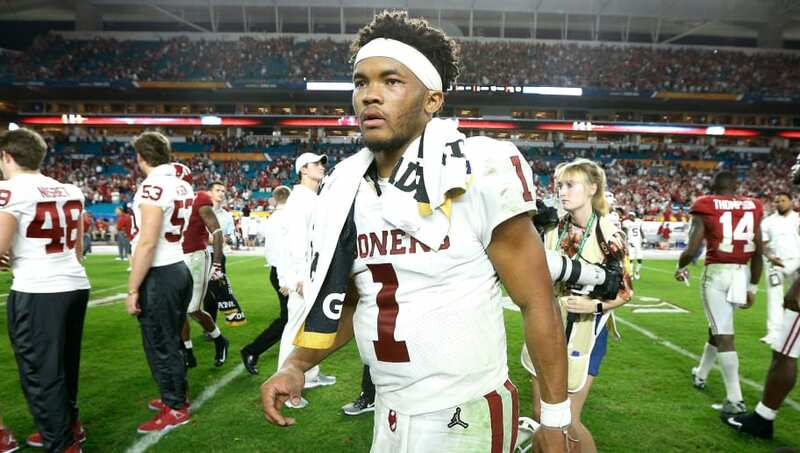 Nobody at the NFL level's been a more unabashed fan of Kyler Murray than ​Kliff Kingsbury has, and the man who just so happens to be the newly-minted coach of the Arizona Cardinals clearly has a top grade on the QB. Only one problem: the team drafted QB Josh Rosen in the first round just last year. We're already done there? Well, perhaps there were some behind-the-scenes promises involved. You know, it's really the specificity of Kingsbury's boast that makes this so perfect. Who'd have thought that a few short months ago, with Kingsbury at Texas Tech and Kyler still an MLB prospect, that the Handsome One would really have the chance to take him first overall a few months later? Meanwhile, while Rosen's shine has decreased from 2018's draft season, you know you'd be able to get some form of gold for him. Perhaps the Steelers would be interested? They need a Big Ben out clause, and they've got a problematic WR named Antonio Brown on the roster. Rosen plus picks? We've heard ​lamer demands. It's just a theory, but it's impossible to rule out.